Another one of those things I just HAD to try despite how much I try to stay away from hot dogs. Not exactly one of those foods you want to eat regularly, but the toppings for this dish I would DEFINITELY make again. Mango relish and curry mayo? Yes please. She uses some nitrate-free ones which I would have used if we didn’t already have some other ones. This meal was a quick prep dish that was the perfect meal for two with leftovers for someone coming later. 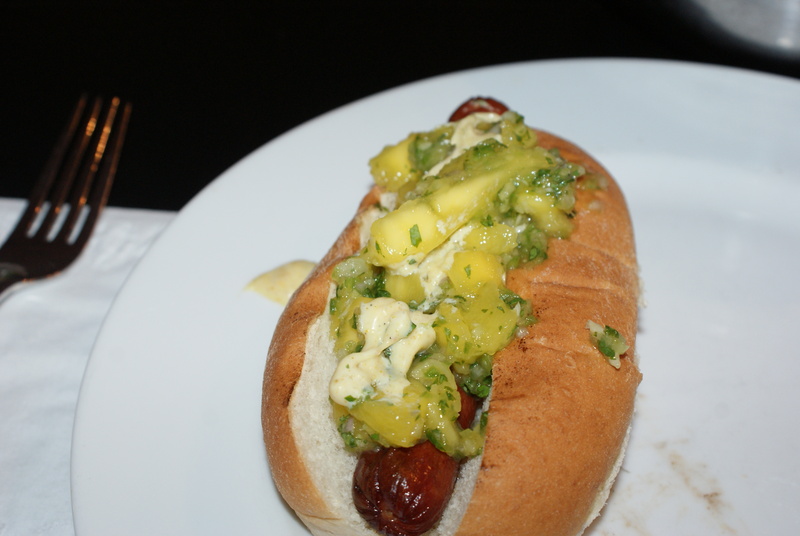 Serve with really any sides you want or it could even be an appetizer if you made little mini dogs with this relish and the mayo as more of a dipping sauce. I followed Phoebe’s recipe found here and finally found those top-cut hot dog buns my Dad is always asking for. 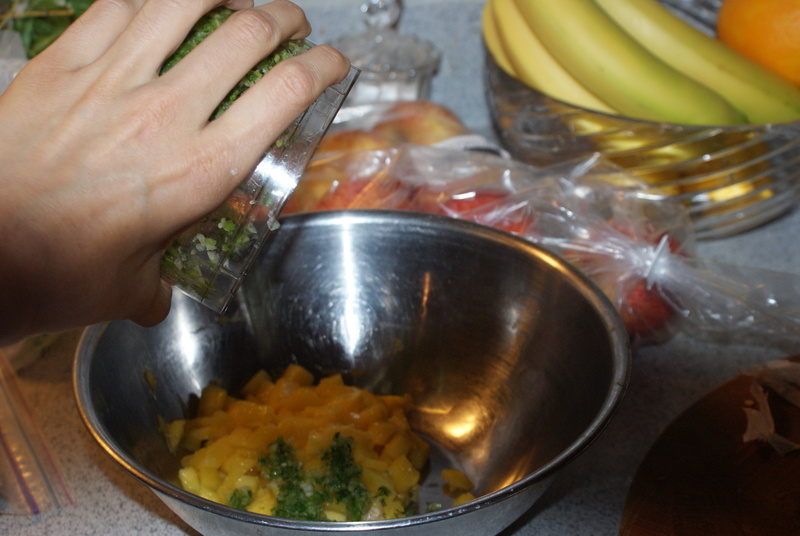 Highlights: Prep the relish in advance and use a mini food processor if you’ve got one. My mom wanted a bit more spice but I think it has a strong bite to it. 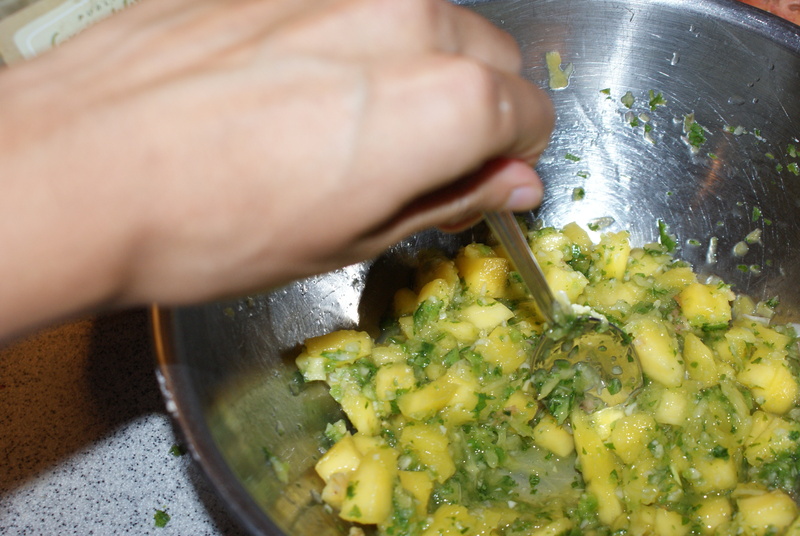 This relish could later be used for a sandwich, atop any Indian dish or on some crostini. Or even as a topping for baked chicken or something. The convenient thing about being on the phone with Brian at this time was his familiarity with ingredients common to Asian dishes. 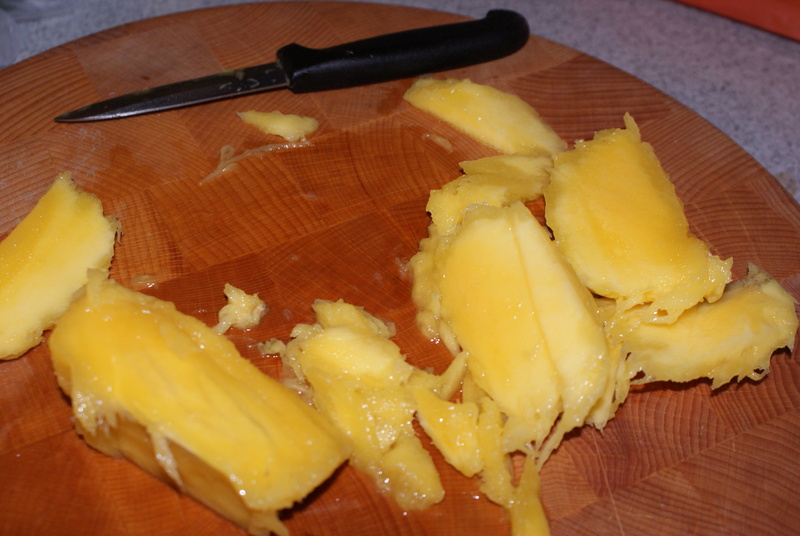 Thus, I found out how you’re supposed to cut up a mango. AFTER having already cut it up. So that’s how this mess happened. I ended up like scraping the side of the (invisible) mango pit. Seriously, where in the world is the mango pit? It looks exactly like the fleshy part so you kind of have to stab at it. Clearly this was my first experience with the mango. So, chop it up. 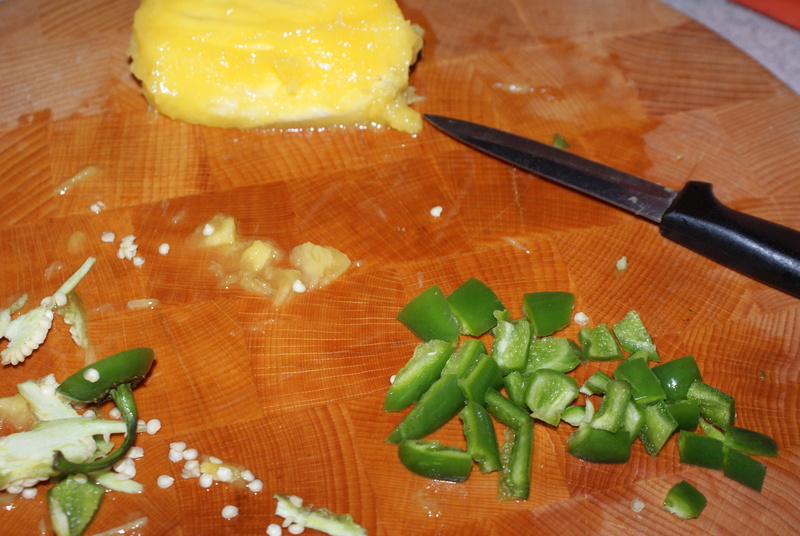 Chop up a jalapeno and scrape out the seeds.